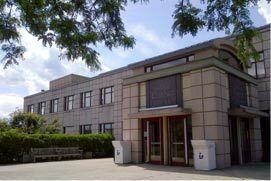 The David and Lorraine Cheng Library provides vast resources for MBA students, providing research help, excellent sources, and ample study space. The library offers many business databases, like IBIS World, which has up-to-date industry reports, and Business Source Premier, which contains articles from business magazines, newspapers, and journals. All databases can be accessed off-campus with your University username and password. Reference librarians are available to help by calling 973-720-2116, or email at refdesk@wpunj.edu or simply by visiting the library. In addition, you can request research help through the library’s homepage and arrange a one-on-one session with a librarian set up around your schedule. You can also contact the business librarian, Cara Berg, at bergc1@wpunj.edu or 973-720-3189. You will work directly with the MBA director to plan and build your academic schedule. Together, you will take a comprehensive look at the total program credits and credit waivers, review your anticipated graduation schedule, and create a written plan of action for degree completion. You may make a phone appointment, request a face-to-face meeting, connect via Skype, or submit a request for graduation credit review. Additional evening hours are available on a case-by-case basis. Each semester we will touch base with you to ensure that you are on track for graduation completion. To schedule a time to meet for academic advisement, contact the MBA Program Director Michael Yakubov at 973-720-2678 or email at yakubovm@wpunj.edu. As a yellow ribbon recognized university, William Paterson University is committed to our men and women who have served or are serving in the armed forces and their families. Our University certified veteran official will assist you with any G.I. Bill related resources and our Office of Veteran and Military Affairs will help guide you to throughout your time in the MBA program. Our goal is to ensure that you are successful and have the available resources to balance your academics and personal life while preparing for your career. To learn more about the resources available to you, please visit the Office of Veteran and Military Affairs link here. Graduate students may choose to reside on campus. This is an especially attractive option for our international students who want to benefit from a comfortable setting while they adjust to the University and their academic studies. 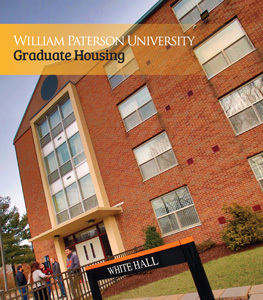 Graduate students can choose a single room or select the option to have a roommate. In order to live on campus, all students must complete the housing contract, submit the deposit, and provide medical records. 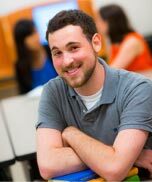 The Office of Residence Life is available to assist in this process after you have been accepted into the MBA program.